Lilly Chatham lived a privileged life as a child living in pre-war England. With her father, an officer of the British army, away in India and her mother having died when she was a child she was raised by a doting grandmother and an army of servants that were more like extended family than household staff. 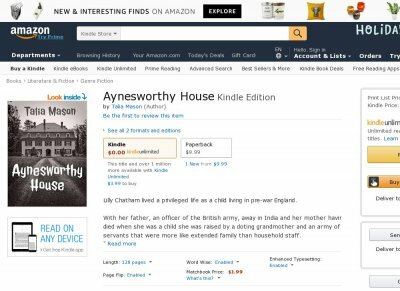 Once Lilly had wed and both her father and grandmother had passed away Lilly inherits her childhood home, Aynesworthy house. 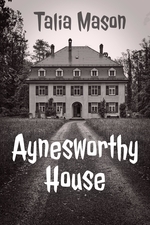 Aynesworthy, built in the mid fifteen hundreds, had been the site and cause of many an evil deed in the far distant past yet not all of those involved rest in peace, one of the spirits of Aynesworthy wants closure whilst another would protect her own, and the houses, greatest secret at all cost. Lilly, now a grown woman with children of her own, suddenly begins sleepwalking within weeks of returning to the house where she grew up and always wakes up in the same place. She is about to uncover a secret that will scar her mind for life. Yet the closer she comes to the truth the more hostile one spirit becomes, putting her whole family at risk. Determined that she would get to the truth Lilly turns to the local records and makes one horrifying discovery after another.